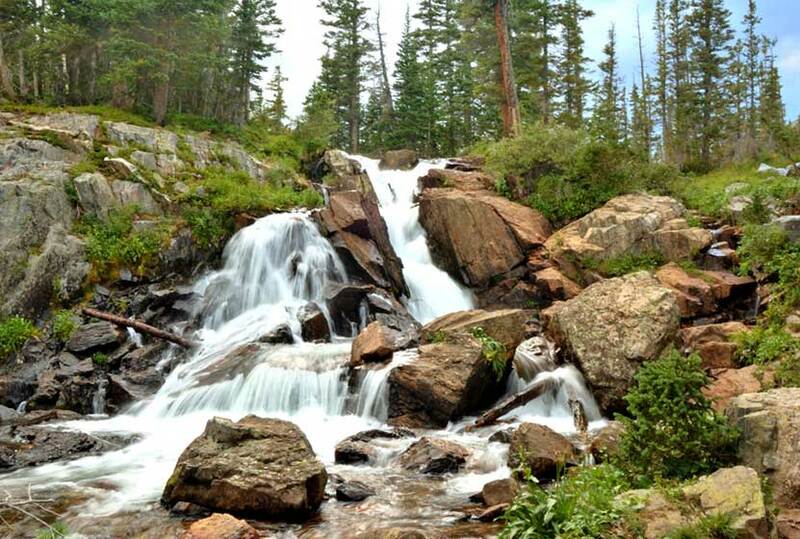 Diamond Lake Falls requires a 1.7 mile one-way hike into Indian Peaks Wilderness. Many hikers choose to hike the 1 mile further up to Diamond Lake. 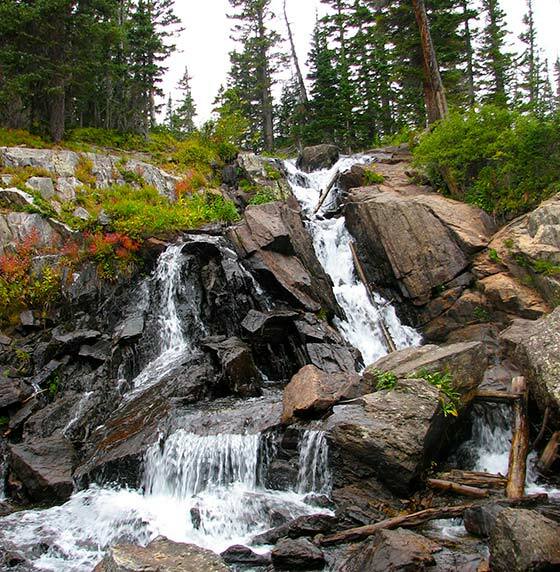 Wildflowers, cascades, and expansive mountain views are just a few of the features that make hiking to Diamond Lake Falls worthwhile. Explore the full trail profile below for trail map, driving directions, and more tips and details to help you enjoy this adventure in the Indian Peaks Wilderness. 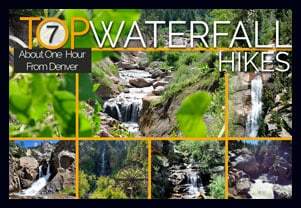 Travel for approximately for 1hr from Denver to Nederland, Colorado. From Nederland, travel south on CO 119 for about half a mile. Turn right onto CR 130 towards Eldora. Proceed westward through the town of Eldora on Eldorado Avenue which will turn into Hessie Road as it leaves town. At the intersection with CR 111 (4th of July Road) turn right and proceed to the Fourth of July Trailhead. 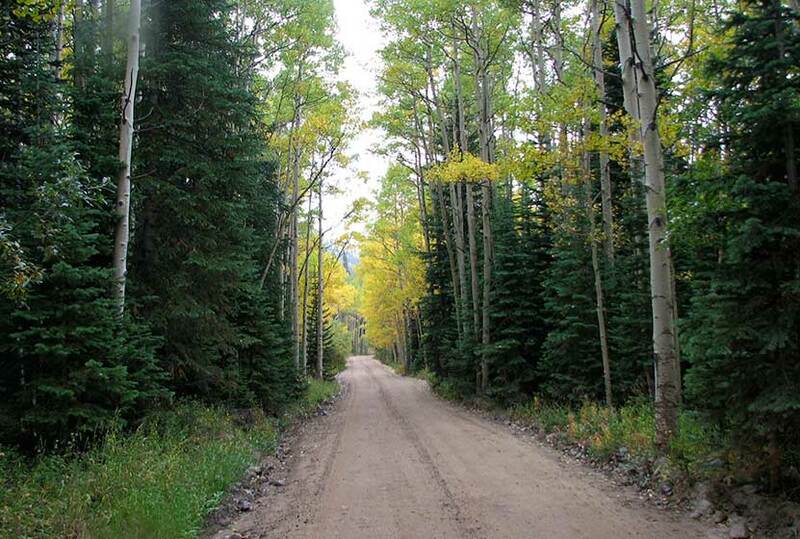 On the way to the trailhead, you’ll pass Buckingham Campground. Though this looks like a trailhead and parking area, drive past it to the actual trailhead. It is important to note that 4th of July Road is a dirt road and only useable by passenger vehicles during the Summer months, and rain and snow can cause the road conditions to be unpredictable. Diamond Lake Falls is actually an unnamed waterfall situated in Indian Peaks Wilderness about 1 mile below Diamond Lake where the trail crosses the North Fork of Middle Boulder Creek. 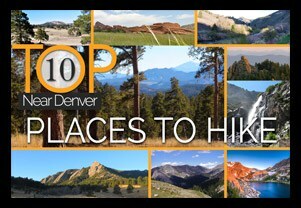 Most hikers will include a stop at the falls on their way up to Diamond Lake (2.7 miles one-way). The hike begins at the 4th of July Trailhead on the Arapaho Pass Trail #904. This first segment on the Arapaho Pass trail climbs into Indian Peaks Wilderness and is adorned with wildflowers in the early and mid-Summer. At 1.2 miles, the trail will come to a junction. The way up to Diamond Lake Falls and Diamond Lake will follow the left-hand trail. 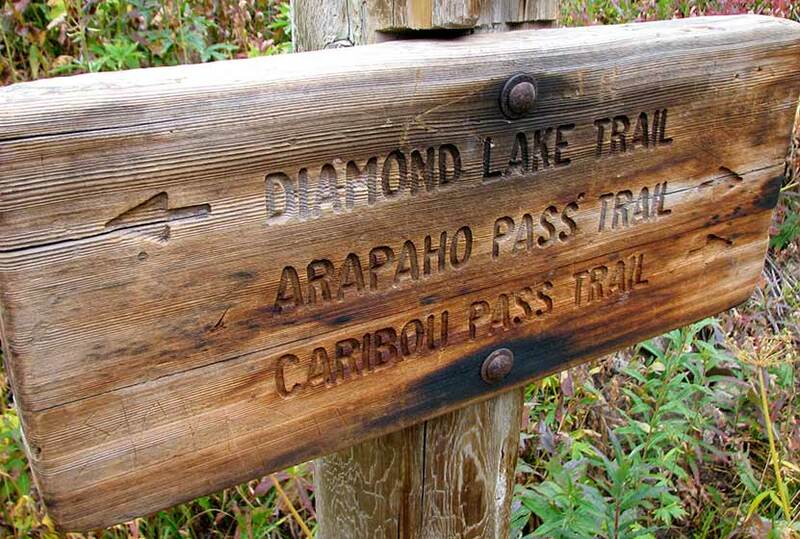 The Diamond Lake Trail first heads west along a drainage then descends to Middle Boulder Creek. 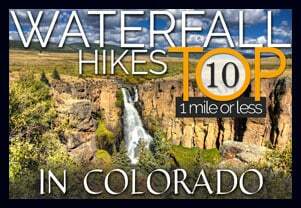 This segment from the trail junction to the bridge and waterfall is 0.5 mile. Photo: We would like to express our gratitude to Brandon Bombaci for sharing such an amazing photograph of this hike on Diamond Lake Falls.